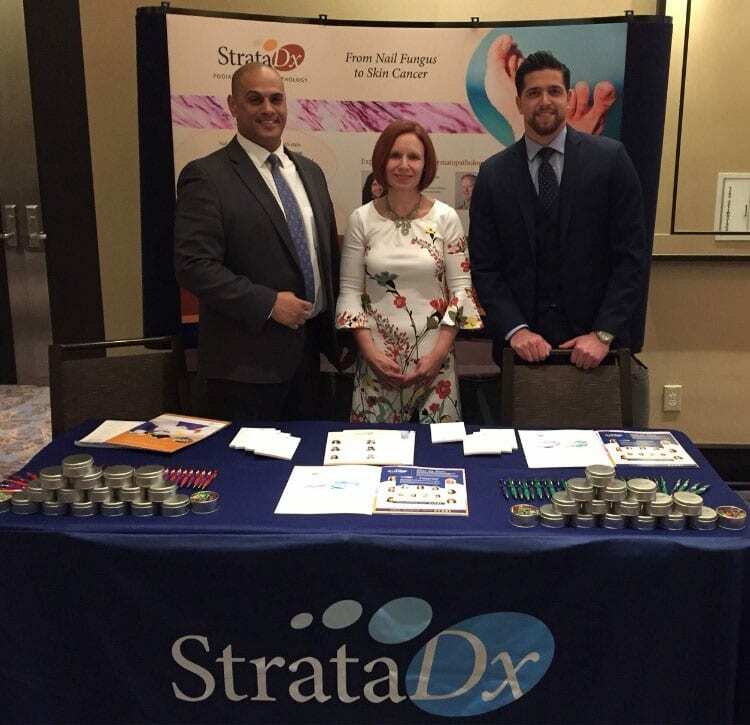 On March 30th, StrataDx was proud to start the day off on the right foot by sponsoring the hands-on cadaver lab at the 2017 Dermfoot annual conference. The sole purpose of this sold-out workshop was to provide a once in a lifetime opportunity to operate alongside Drs. Dockery, Markinson, and Ribotsky. Knee deep in podiatrists, the workshop boasted over 100 attendees. The cadaver lab was a huge success, and we were so happy to have a foot in the race. Topics included the “what, when, and where” to biopsy, different types of biopsies, post-op care, and many more! Dr. Cohen and our sales team had an amazing opportunity to meet, greet, and speak with many leaders in the field of podiatry. 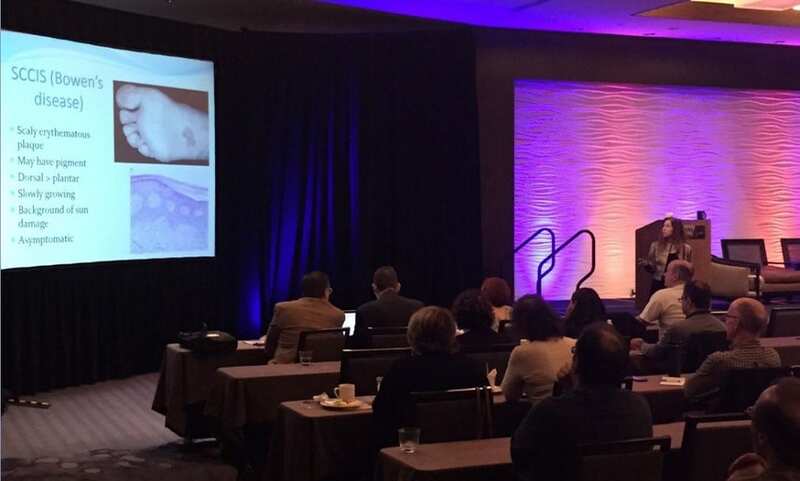 StrataDx is one of the few laboratories that provides highly specialized dermatopathology services to podiatrists, and we were happy to be on hand to answer the attendees’ questions. We certainly feel sure-footed in the field of podiatry! The Dermfoot annual conference was a huge success, and we must give special thanks to Dr. Annette Joyce. Both Dr. Cohen and our team were very pleased to meet her and learn more about opportunities with Dermfoot across the country. Dr. Joyce is a shoe-in for the MVP of the conference! StrataDx put our best foot forward as Dr. Cohen spoke in the early hours of the show. 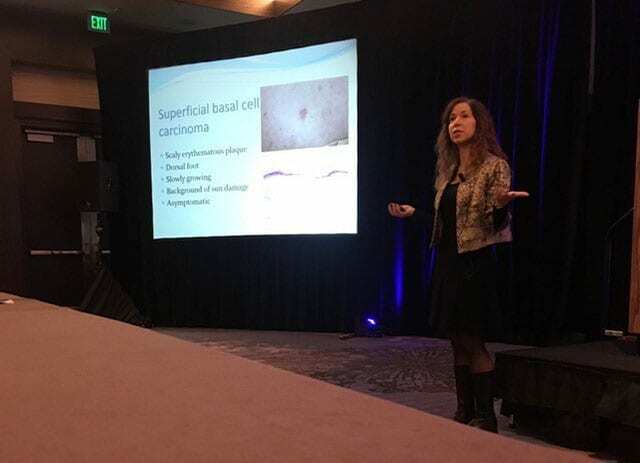 We hope the Dermfoot attendees got a kick out of Dr. Cohen’s presentation on tinea lookalikes and the proper ways to perform nail clippings and shave/punch biopsies Friday morning. Dr. Cohen is always a great speaker and has a wealth of knowledge she likes to share. Soon after, the rest of the conference was afoot and by day two we were ready to head home. We are truly looking forward to more opportunities with Dr. Joyce and Dermfoot. The conference was an amazing event and we enjoyed kicking it with all the attendees. We hope we left a good footprint on the podiatrists!